You may not have big challenges getting your students to work hard in school, but many of your colleagues DO have a tough time. At least that’s what they tell me! This is the first of a 4-part series on the real “how to” for student engagement and effort. There are countless reasons why students do not engage or work hard in class. Many of the reasons are invisible to a teacher. Just to get you started, here are 25% of the reasons students might not be working at “full-throttle” for you. Remember, these are just the first six. 1. They do not like their teacher or don’t think the teacher is on their side. Cornelius-White, J (2007). Learner-Centered Teacher-Student Relationships Are Effective: A Meta-Analysis. Review of Educational Research, 77,113-143.
d’Ailly, H. (2003) Children’s autonomy and perceived control in learning: A model of motivation and achievement in Taiwan. Journal of Educational Psychology. 2003 Mar Vol 95(1) 84-96. Congratulations! You’re on the way to a great day! understanding anything completely, except this post presents good understanding even. 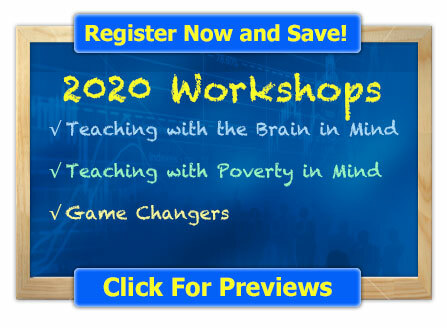 Do you all provide PD on this subject within a district? 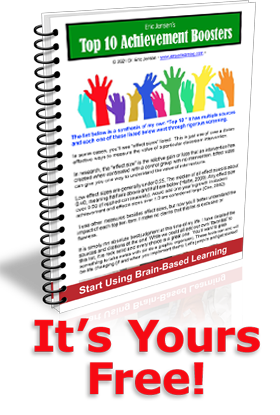 Good article on brain based learning basics.